What is Cell Membrane ? The cell membrane is a type of plasma membrane that encloses the entire contents of a cell, including the cytoplasm and all the organelles. The cell membrane is not always the outermost layer of the cell since plant cells also have a cell wall that further encloses the cell membrane. Animal cells however have no cell wall and the cell membrane is the barrier between the inner contents of the cell and the external environment. 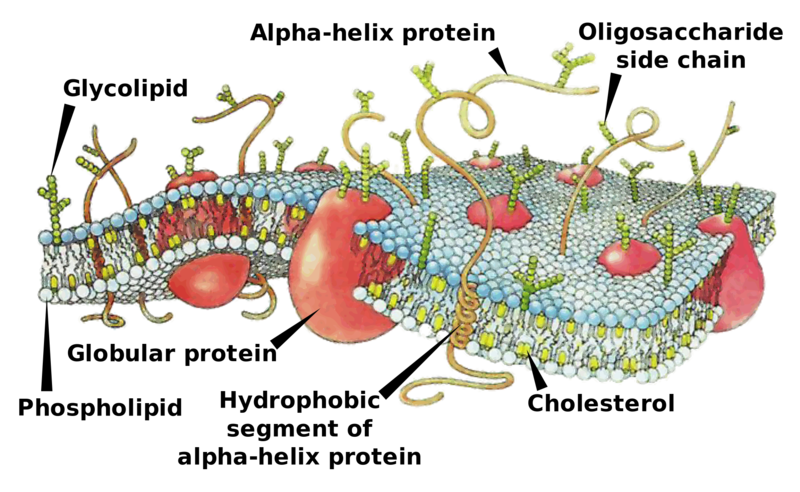 The cell membrane consists of a phospholipid bilayer that also contains integral proteins. Integral proteins often span the membrane and provide pathways for molecules to move through the membrane. The membrane is selectively permeable, due to the presence of the lipids which are hydrophobic (repel water). The phosphate heads are hydrophilic (do not repel water) in comparison with the lipid tails. The lipid tails are glycerol molecules. Other lipids in the membrane include cholesterol which helps provide some stiffness and support to the membrane. A cell membrane is important in cytokinesis during cell division. In some organisms the membrane is modified with cilia for feeding and movement. Knowledge of the structure of the cell membrane of microbes has allowed researchers to develop antimicrobial agents to attack pathogenic bacteria and fungi. Protecting the cell from outside invaders such as viruses and bacteria. Maintaining the correct tonicity of the contents of the cell by controlling the movement of water and solutes into and out of the cell. Providing a selectively permeable barrier in which some molecules can easily move into or out of the cell while others cannot. Molecules can either move across the membrane by passive transport which does not require energy, such as simple diffusion, or active transport which does require energy, such as a sodium-potassium pump. Playing a role in signal transduction mechanisms at the surface of the cell. The plasma membrane is a membrane that surrounds individual organelles or the contents of a cell. The cell membrane is a type of plasma membrane that encloses the cell. There are plasma membranes found surrounding both the cytoplasm and contents of a cell and surrounding individual organelles such as chloroplasts and mitochondria. This means that plasma membranes have several different functions depending on where they are located. The structure of the membrane can vary depending on what it surrounds, whether that is the entire cell or an organelle in the cell. Plasma membranes always provide a degree of protection regardless of what structure they are surrounding, and many also play a role in phosphorylation reactions. A plasma membrane surrounding an organelle will have slightly different functions depending on what organelle it is enclosing. Organelle plasma membranes still have selective-permeability and carefully control what substances pass into and out of an organelle, but the type of molecules needed by the organelle will differ. The molecules that need to enter and leave a mitochondria compared with a chloroplast for instance, will be different at times because the organelles have different functions. For instance, pyruvate needs to enter mitochondria in order for aerobic cellular respiration to occur, while carbon dioxide needs to enter chloroplasts in order for photosynthesis to occur. The cell membrane is only found surrounding the contents of the cell while a plasma membrane can also be found surrounding certain organelles. While a cell membrane is always involved in helping regulate tonicity, this is not the case for all plasma membranes. 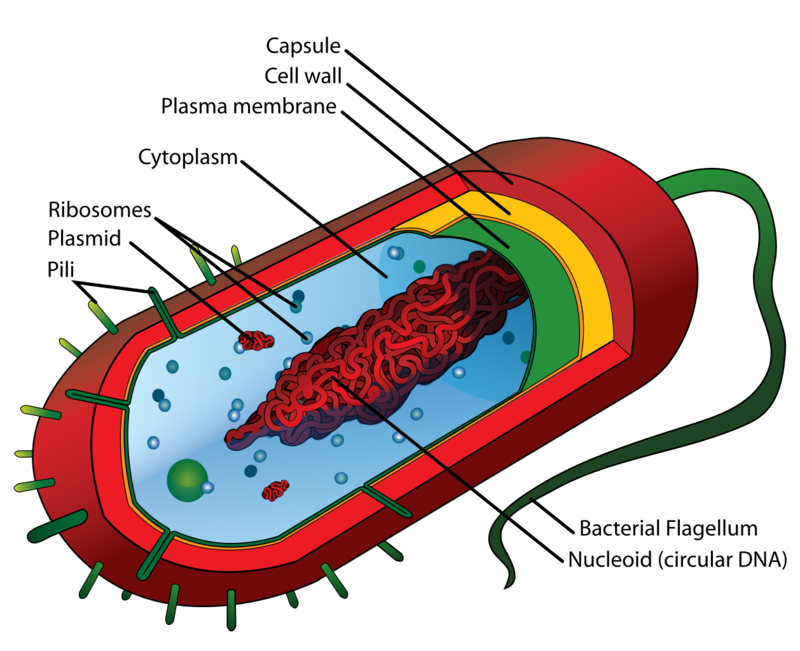 A cell membrane can be modified in organisms to facilitate feeding and movement, for instance Paracemium has cilia for feeding and movement. Other plasma membranes are not modified in this way. The cell membrane helps protect the cell from bacterial and viral intrusion, while other plasma membranes inside the cell do not have this function. The cell membrane contains the initial receptors for signal transduction mechanisms, and is thus the first step where messages are received from other cells during signal transduction. Plasma membranes surrounding organelles are not the first step for signal transduction, though can be involved in the process. Phospholipids in the cell membrane play a role in cytokinesis during cell division. This is not the case with plasma membranes that are not cell membranes. The cell membrane of bacteria and fungi can be targeted by antimicrobial agents. Plasma membranes in general are not targeted unless they are cell membranes. The cell membrane is a type of plasma membrane that encloses a cell and all its contents, including cytoplasm and organelles. Plasma membrane can be found forming the membranes of other organelles in addition to the cell membrane. Organelle plasma membranes may differ from the cell membrane. Both cell membranes and other plasma membranes have selective permeability and control the transport of substances across the membrane. The cell membrane is involved in cytokinesis during cell division while other membranes of the cell are not involved specifically in this process. Dr. Rae Osborn. "Difference Between Cell Membrane and Plasma Membrane." DifferenceBetween.net. 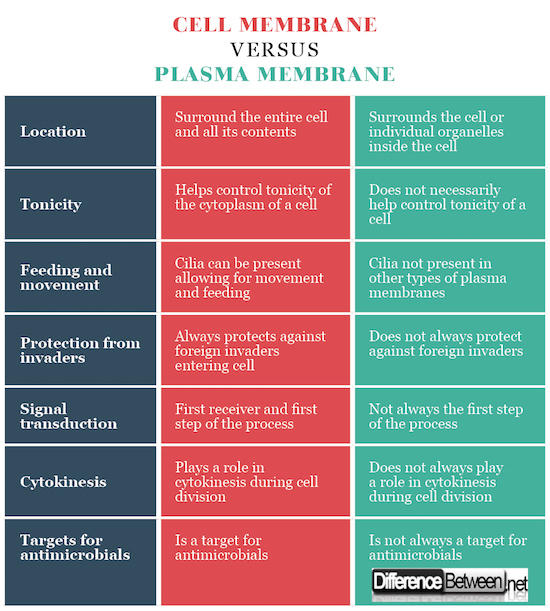 March 26, 2018 < http://www.differencebetween.net/science/difference-between-cell-membrane-and-plasma-membrane/ >. Thank you for leaving a wonderful answer to the given question. Emoto, Kazuo, and Masato Umeda. "An essential role for a membrane lipid in cytokinesis: regulation of contractile ring disassembly by redistribution of phosphatidylethanolamine." The Journal of Cell Biology 149.6 (2000): 1215-1224. Rye, Connie, Robert Wise, Vladimir Jurukovski, Jean DeSaix, Jung Choi, and Yael Avissar. Biology. Houston: Rice University, 2017. Print.